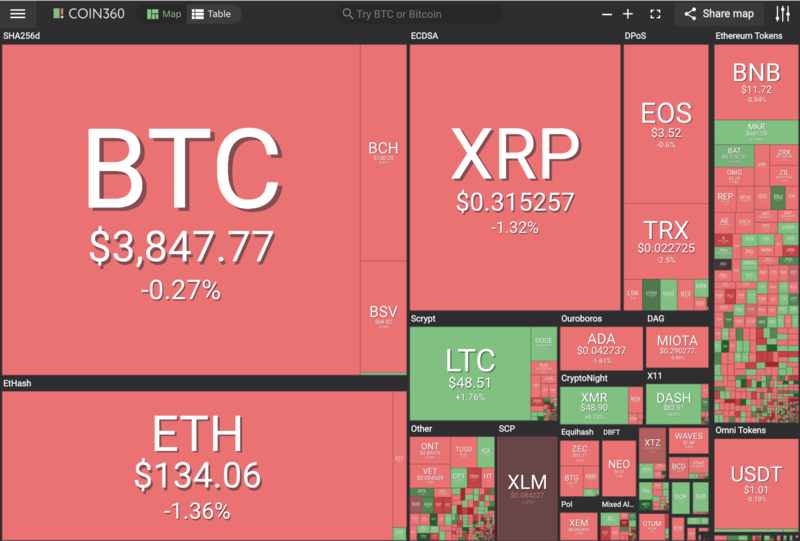 According to coin360 only Digit Futures (DGTX) 11% in the top 100 market cap had double digit gains today. 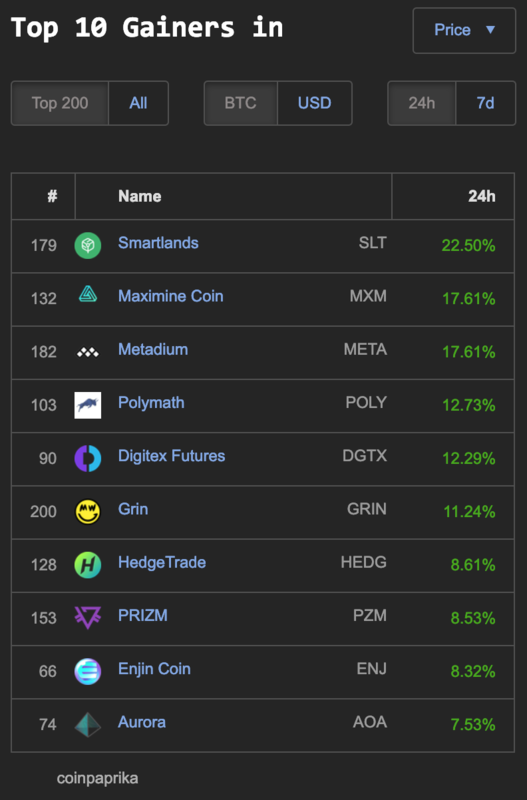 Coinpaprika.com has 6 coins with double digit gains within the top 200 market cap: Smartlands (SLT) 22%, Maximine Coin (MXM) 17%, Matedium (META) 17%, Polymath (POLY) 12%, Digitex Futures (DGTX) 12% and Grin (GRIN) 11%. 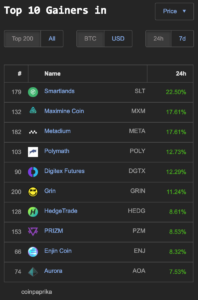 The market leaders in the top 200 marketcap on Coinpaprkia. 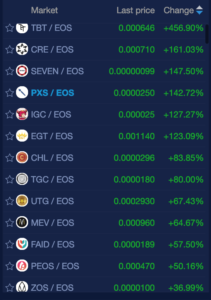 Coins trading with EOS are by far the greatest percentage gainers on the day with a half dozen coins gaining 100% or more: TBT (456%), CRE (161%), SEVEN (147%), PXS (142%), IGC (127%) and EGT (123%). There were also sixteen double digit gaining coins as well. 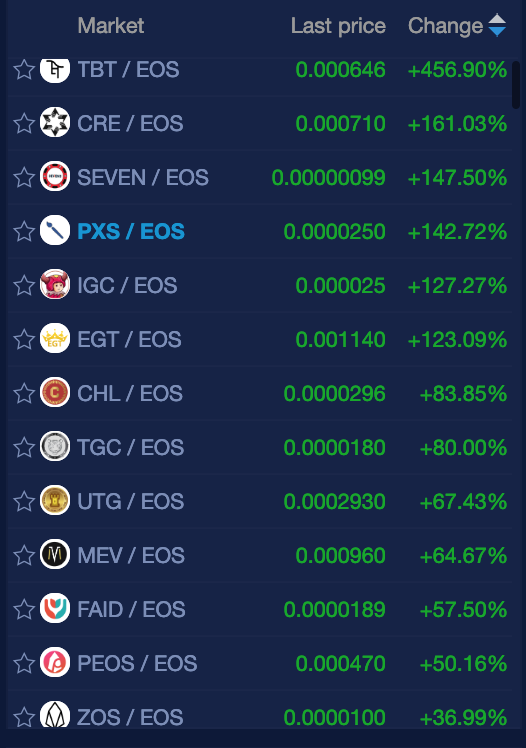 Out of the list of market leaders there were some notable non-gambling coins including: Castle Wars (IGC), personal Credit System (CRE), Challenge Dapp (CHL), First Aid collaboration platform (FAID), and private EOS (pEOS). 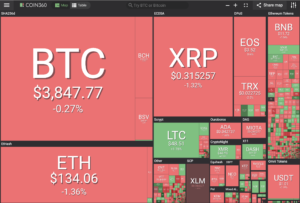 The largest gainers in the cryptocurrency space today are found trading with EOS.